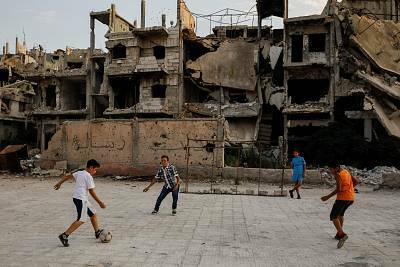 DAMASCUS, Syria — Some people in the Syria's capital have been able to enjoy a semblance of normality since fighting in the area ended in May, but in the rubble of shattered, destitute towns nearby, life could not be more different. Central Damascus was held by the government throughout the war and suffered much less damage than opposition-held areas — evidence of the huge gulf in firepower between the two sides. Parts of the eastern Ghouta region just outside Damascus were all but flattened during a government offensive this spring to retake it from rebels. When the area surrendered, tens of thousands of its people, both fighters and civilians, chose to leave eastern Ghouta under safe passage for opposition areas in northern Syria rather than come back under government rule. Others decided to stay. The risk of being hit by bullets or shellfire near the capital has now ended, but conditions in central Damascus, with its relaxed nightlife and bustling business district, seem a world away from the hardship of eastern Ghouta. President Bashar al-Assad's success in the war owes much to Russia, which entered the war on his side in 2015, and whose soldiers are now a common sight in government-held areas. Even during the fighting, people in Damascus would go out in the evenings to eat, drink and dance, but this summer, the bars and restaurants of the Old City were much busier. "During the war, when bombs were falling, it could be days without customers, but we never stopped working," said Dana, a 24-year-old bartender, mixing a blue moon cocktail in a shaker. Barber shops do good business and cafes spill out onto the cobbled streets of the Old City on weekend evenings. This was the first summer since 2011 without the sound of fighting in Damascus. At a wedding outside the city, the noise came rather from student rock band Kibreet — a drummer, two guitarists and a singer. The groom was carried on the shoulders of his friends and family, as people clapped around him. He swung his bride in his arms, her white dress billowing out behind. Only a few miles away, in the eastern Ghouta city of Douma, rubble is all around. In one bulletpocked building, a young man on the fifth floor was shoveling debris from a balcony, preparing the apartment for re-use. Entire streets seem destroyed. At one of the area's biggest hospitals, where huge shell holes are blown into the walls, medics are still operating out of the basement. A woman held up a small boy on a bed, grimacing as he waited for the doctor to give an injection. In the ravaged streets, a small boy pushed a cart selling cooked sweet corn cobs between ruined buildings. The fighting in Douma only ended a few months ago, but any significant reconstruction might be very distant. 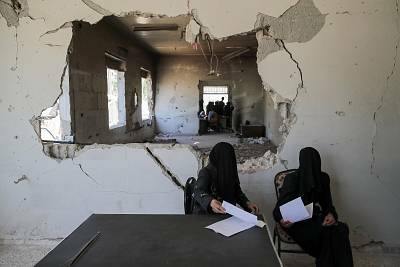 Syria cannot afford a major rebuilding program. Its closest allies, Russia and Iran, seem unlikely to foot the bill. Western nations will pay no cash without a political transition. In al-Khalidiya district of Homs, retaken by the government in 2013, the slow nature of recovery is clear. Much of it is a ghost town, uninhabited and closed by the army. In one area, boys played soccer near buildings so pancaked by bombs that the floors and ceilings hung down closely on top of each other. Their goal was made of two rusting oil drums with posts sticking up and a wire tied between them as the crossbar. "Very few people come to this area," said Abu Fares, a shop owner in the Old City of Homs. 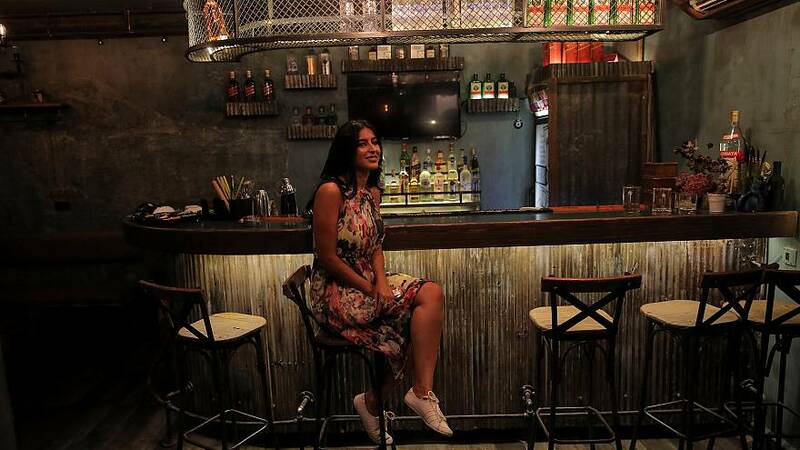 Even among the young people enjoying the nightlife in Damascus the challenge of the long, slow economic recovery ahead means many people are thinking of leaving. "I like my job. I like bars and night life here. But in the end I would like to move out of Syria. 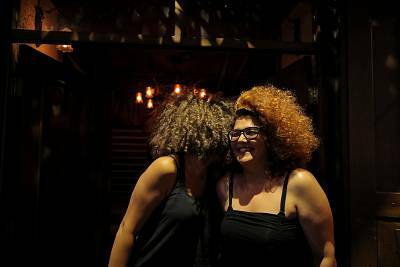 I don't see a future here," said Rasha, a 30-year bar owner. "When there was war here and we had bombs falling every day I never wanted to leave. But now, yes."